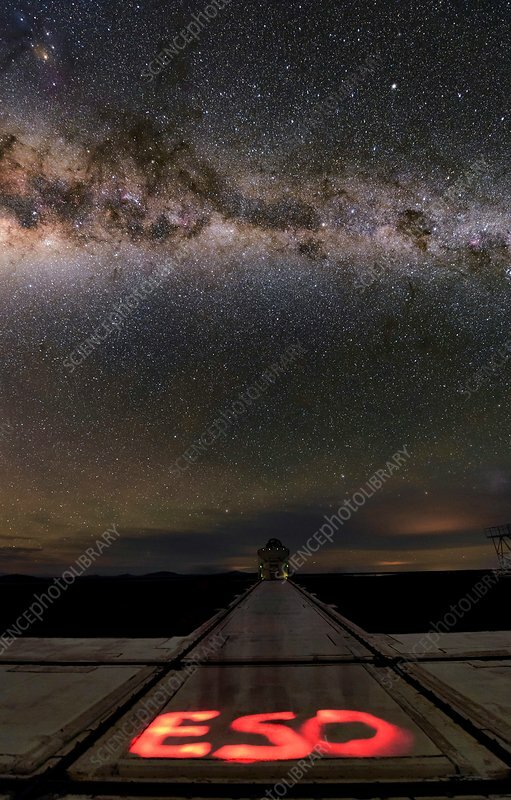 Milky Way over Paranal Observatory. Time-exposure image of the Milky Way (top) in the night sky over the Paranal Observatory in the Atacama Desert, Chile, with a torch used to 'paint' in the abbreviation ESO in the foreground. The Paranal Observatory is operated by the European Southern Observatory (ESO). It is situated at an altitude of 2,635 m, on Cerro Paranal.